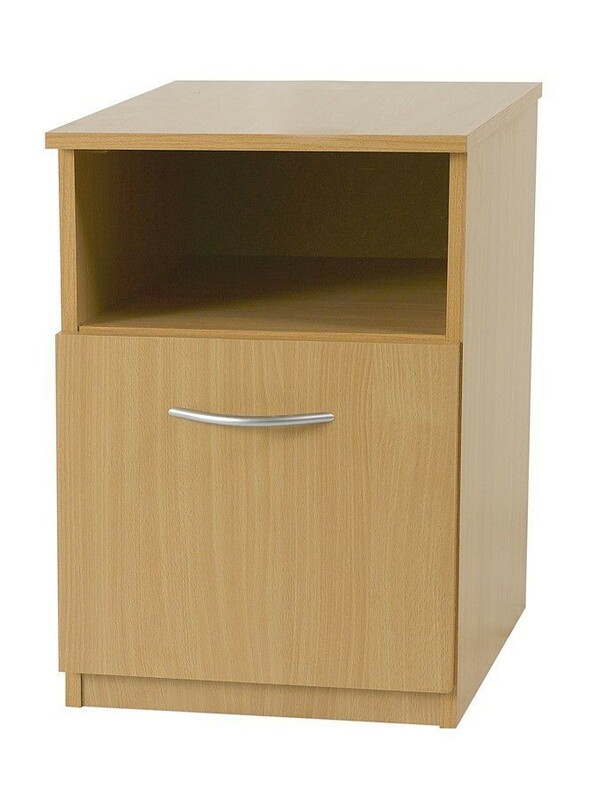 Beech mode bedside locker offers a modern look with a pvc trim. Stylish metal handles.Pre-Assembled.Great price & FREE delivery. Beech colour bedroom furniture with PVC trim.